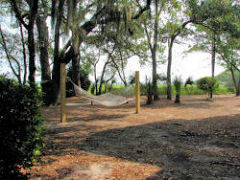 Kids of any age will enjoy Disney Hilton Head Island rentals. This great island adventure will appeal to everyone in the family. The ones who will have the most fun are the younger kids because this Disney Hilton Head Island resort has Kid Fun as the focus. These Hilton Head Island vacation rentals are built on a private island in Shelter Cove Harbour and were designed to remind visitors of one of the older fishing lodges. The collection of vacation homes at this Disney Hilton Head Island resort are carefully arranged to give the impression of one cohesive unit while still providing space and privacy. 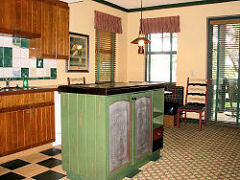 You will definitely want to try the fun and excitement at Disney Hilton Head Island vacation rentals. There are four types of rentals to choose from when you make your reservation at Disney Hilton Head Island Resort. 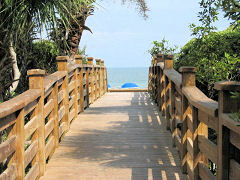 These Hilton Head Island vacation rentals have a private balcony or porch. There is a kitchenette, microwave, and small fridge, wet bar and coffee maker. 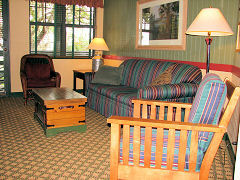 All rooms are furnished with a TV and DVD player. A queen bed and a sleeper sofa provide the sleeping spaces for up to 4 guests. These Disney Hilton Head Island rental units contain almost 900 square feet of living area but can sometimes feel a bit cramped. There is a full kitchen, washer/dryer, TV and a DVD player. The living area is furnished with a queen sleeper sofa and the Master suite has a king size bed and whirlpool bath. This vacation choice is slightly larger than the 1 bedroom model and has an additional bed and bath. 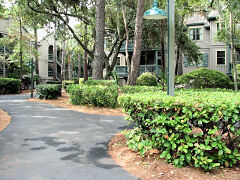 Otherwise, it features the same amenities as the 1 bedroom unit at Disneys Hilton Head Island Resort. This 3 bedroom home at Disney Hilton Head Island has almost 2,500 square feet of living area to enjoy. The rooms are decorated in pastel shades and there are colorful patchwork quilts on the beds. All bedrooms have private baths and the dining room seats up to 8 guests. The family and kid friendly Disney Hilton Head Island Resort has 2 separate outdoor pools that are named the Big and Little Dipper. The Big Dipper has a great water slide that is a favorite of older kids. 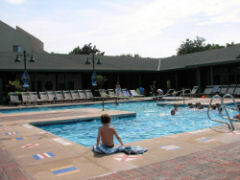 Younger kids have the opportunity to play in a shallow pool where they can enjoy sprinklers and water sprays that are just their size at this Hilton Head Island resort. If you want to keep fit on your visit to Disney Hilton Head Island Resort; you can visit Ben and Stretchs Workout room. At Community Hall, guests can play board and card games or work on arts and crafts. You can even rent a bike or some fishing equipment and do a little exploring of the island. Guests spend a lot of time in the Disney Beach House. 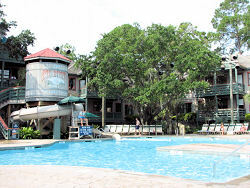 A heated swimming pool shaped like a giant letter H is always a popular attraction at Disney Hilton Head Island rentals. The Big Buoy Arcade is where video and pinball games are available at this Hilton Head resort. Guests are invited to the campfires that take place along the marshes. Making Smores, singing, and listening to stories are all part of this night-time fun. In addition to these activities, the family can take part in Goofy bingo, treasure hunts and Unbirthday parties at Disneys Hilton Head Island Resort. There are plenty of dining options available at Disney Hilton Head Island Resort including Tide Me Over, Shelter Cove Marina, Signals Snack Bar, and Surfmans Sand Bar. The Hilton Head resort also has some Bar B Q grills on site so that you can grill steaks, hot dogs, or burgers for your hungry group.